So far, 2014’s pre-season launches have been muted affairs, mostly quiet, digital unveilings. Today, five teams continued that trend by revealing their new machinery either just before or during the first day of testing in Jerez. Mercedes launched with the most normal of the noses we’ve seen so far, a dip down to wide struts. 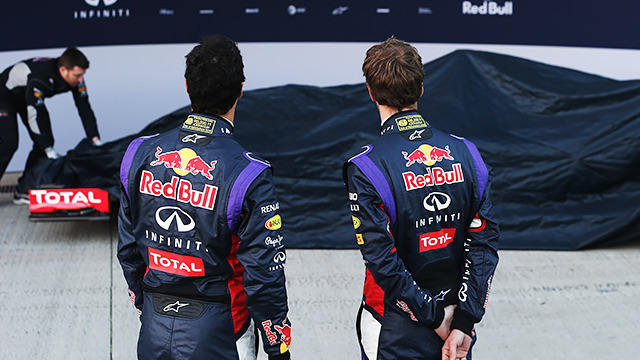 Red Bull have something of a shark fin going on, with the nose narrowing to a sharp point at the front. Force India and Caterham both have the odd extra nose bits sticking out the end, although on the Force India it is painted black to hide some of the horror. Williams have the single narrowing nose we have seen on other teams. Both Williams and Caterham had to delay their launches due to technical problems, but their cars were revealed throughout the day as the testing continued.